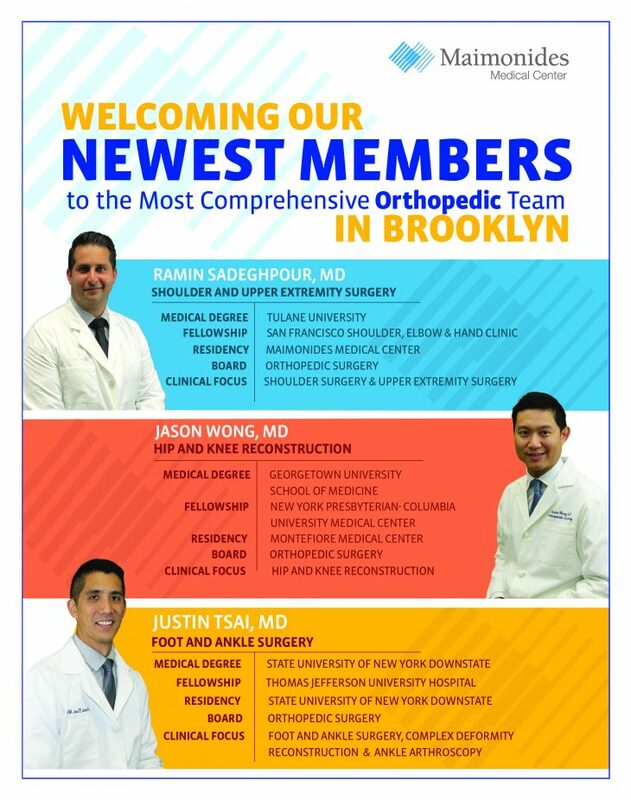 Please send us your Maimonides Medical Center Welcomes New Orthopedic Surgeons to the Most Comprehensive Team in Brooklyn. questions or any questions to our friendly staff via our online Contact Form. You may also contact us at or visit our office at 6010 Bay Parkway, Brooklyn, NY 11204.